INSPECTOR-GENERAL of Police Tan Sri Ismail Omar was recently reported to have said good-looking police officers would be assigned to give the force a friendlier look. We should be aware we are always communicating through our facial expressions, posture and gestures, without saying a word. When talking to others, our visual appearance has greater impact than our tone of voice. Surprisingly, what words we use matter less than how we use them. KUALA LUMPUR, June 29 (Bernama) — The police will detain anyone who uses words or displays symbols to instigate the people to join the illegal rallies planned by several groups in the city on July 9, Inspector-General of Police Tan Sri Ismail Omar said today. “Not only attire, but cars, buses, shoes, trousers and anything at all that smacks of sedition can be seized under the law,” he told reporters at Bukit Aman here Wednesday. NEARLY 600 people were injured in violent clashes between protesters and security forces in the Egyptian capital that flared last night and were still raging today, Al Jazeera reported. Protesters frustrated by the slow pace of reform under the interim military rulers since the fall of Hosni Mubarak’s regime in February clashed with security forces in Tahrir Square, the epicenter of the revolution. Protesters hurled rocks at security forces near the interior ministry. The security forces responded with tear gas and rubber bullets. The health ministry said that 590 people were injured so far in the clashes. A total of 75 people were hospitalized, with 33 people still undergoing treatment today, the Al Ahram daily reported. At the peak of the violence overnight, an estimated 3,000 protesters were in the square, and numbers swelled again today. Protesters chanted “The people demand the fall of the field marshal,” a reference to Hussein Tantawi, the head of the Supreme Council of the Armed Forces, which will rule Egypt until the next elections, slated for September. According to the interior ministry, the trouble started when a group of people stormed a theater where a memorial service was being held for those killed in the uprising against Mubarak, AFP reported. A security official said that the group then headed to the state TV headquarters and was joined by hundreds who began to throw rocks before heading to Tahrir Square. But activists said that the families of the victims were denied entry to the memorial in Cairo and beaten by police. Victims’ families are frustrated by the slow pace of the prosecutions of regime officials accused of orchestrating the crackdown before Mubarak’s fall. The ailing former president has been charged with ordering the killings, as well as graft, but has not yet appeared in court. Egyptian police on Tuesday clashed with protesters in Cairo’s Tahrir Square, the epicentre of the revolt that swept former president Hosni Mubarak from power five months ago. Officers fired tear gas to disperse the crowds, some of whom threw stones and firebombs. Authorities said at least five civilians and 26 police officers were injured. The clashes followed a sit-in outside the headquarters of Egyptian state television. 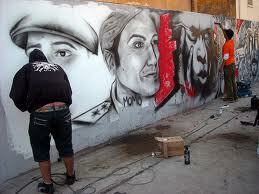 It was organised by relatives of those killed during the Egyptian revolution. KATHMANDU, June 28: As factionalism and disputes over the tactical line deepen the internal crisis in the party, Chairman of the UCPN (Maoist) Pushpa Kamal Dahal struggles to maintain his hold on the party and call a meeting of the Standing Committee, prior to resuming the Central Committee (CC) meeting that was postponed on Monday for three days. According to sources, the Maoist chairman held rounds of meetings with Senior Vice-chairman Mohan Baidya who leads the party´s hard-line faction, and Dr Baburam Bhattarai who leads the moderates, but to no avail. At one of the meetings of the party top leaders, another Vice-chairman Narayankaji Shrestha proposed Bhattarai as the party´s candidate for prime minister and Baidya had seconded the proposal. But in another meeting with Baidya, Dahal had tried to convince him that the party should rather forward the name of General Secretary Ram Bahadur Thapa as the prime ministerial candidate, terming Bhattarai as “rightist”. “The chairman wants to break the tactical alliance between Baidya and Bhattarai that has been formed lately to cut him to size. Perhaps he plans to become prime minister himself finally after creating rifts among the senior leaders,” said a senior leader close to Baidya. On Friday, 156 lawmakers from Baidya and Bhattarai factions had submitted a memorandum to the party demanding that the party implement its earlier decision to give women 33 percent representation in the Maoist share of the present council of ministers. The move clearly indicated that Dahal is in minority in the parliamentary party. June 28 - Demonstrators clash with riot police as Greece braces for austerity cutbacks. 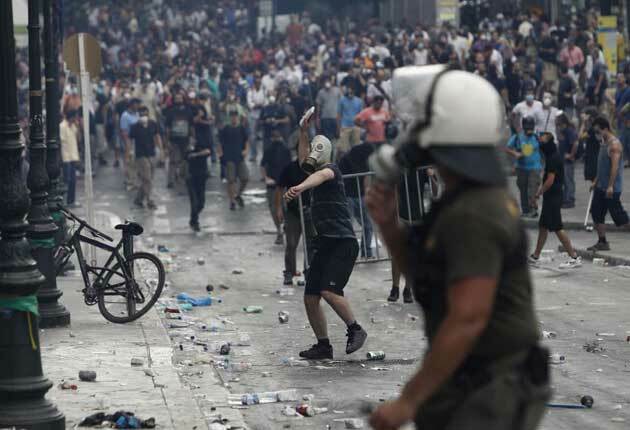 Wednesday, 29 June 2011–Athens was rocked by a day of street battles yesterday on the eve of a critical vote on austerity measures demanded of Greece if the country is to avoid a potential disaster. The escalating confrontation between people and political leaders, expected to resume today, has stoked fears of a banking and eurozone crisis that some analysts are equating with a “second credit crunch”. A day that began with a peaceful show of force from Greece’s unions quickly descended into running battles between masked youths and riot police outside parliament yesterday. With much of the country at a standstill thanks to a general strike and rolling power cuts, Greek MPs will vote later today on a package of austerity measures which are seen as essential by much of the rest of Europe but are unpopular in the country itself.